Home » Guides » Does a Dehumidifier Kill Mould and Mildew? 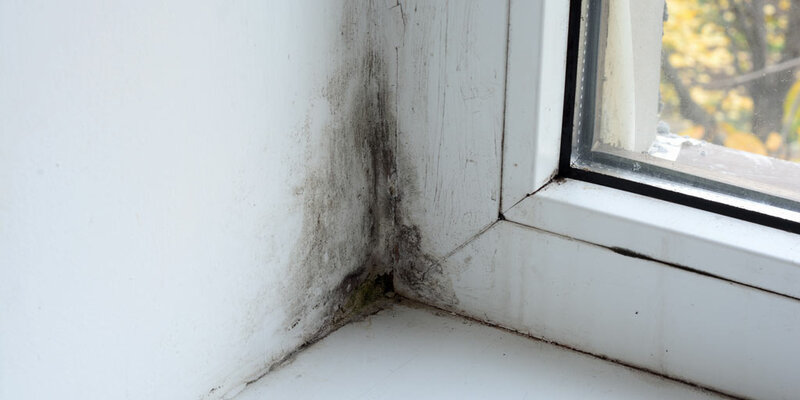 Mould and mildew are common problems in the damp UK environment. Spores can spread quickly around a home, leading to black patches on walls and ceilings. It’s not just your home’s interior design at threat though. Mould can trigger allergies, cause respiratory infections and even weaken the immune system. Anyone can be affected, although babies, the elderly and those with respiratory problems are most vulnerable. For this reason, it’s vital to identify the cause of mould and get rid of it. But can this be achieved with a dehumidifier alone? Let’s find out. Mould spores are everywhere. You can’t get rid of them all, as new spores continuously float inside. They also only need a porous surface (such as wood or wallboard) to feed. Spores need high humidity to spread though. Relative humidity over 60% is usually enough, so it’s only a matter of time before a home filled with moisture develops mould patches. There are many reasons why your home might reach a relative humidity of over 60%. Water leaks, especially from pipes inside a wall, can be the most costly to repair. But even drying your laundry inside or not using an extractor fan when boiling water can lead to a gradual build-up of moisture. If you’re not sure how humid your home is, the most accurate way to measure humidity is with a hygrometer. These devices give a precise reading of relative humidity – although be aware that humidity can vary between rooms. Can a Dehumidifier Stop Mould? The short answer is that a dehumidifier can prevent the spread of new spores but can’t kill existing mould. Reducing the humidity in your home to 50-55% makes mould dormant. It won’t grow, but the occasional spores are still released. For this reason, keeping humidity low is essential for preventing mould from spreading around your home. This dormant state is not the same as killing mould though. The black patches won’t shrink in size or disappear, so you’ll need another method to kill existing mould and mildew. You should also keep in mind that a dehumidifier takes time to reduce humidity. It can take up to a week for enough water to be removed, depending on the speed of the dehumidifier, size of room and sources of moisture. Is a Lower Humidity Always Better? No. If the humidity is too low, it can cause chapped lips, eye irritation and dry the respiratory system. It can also cause cracks in wooden furniture. You should aim for humidity of 40-60% throughout the home. This stops mould spreading without the problems associated with low humidity. Note: If you suffer from a dust mite allergy, you may want to keep humidity below 50%. Dust mites can’t survive at this level of humidity, as they rely on absorption to get water. How Can I Get Rid of Existing Mould and Mildew Then? A dehumidifier can slow or stop the spread of mould, but it’s still vital to get rid of existing patches as quickly as possible. The first step is to identify the source of moisture. Mould keeps coming back unless you fix the underlying problem – especially if it’s caused by a leaking pipe. You may also need to dry your laundry outside or improve the ventilation in your home. If you live in a flat or don’t have a garden, some dehumidifiers have a laundry mode to help with this. Once you’ve reduced the humidity, you should only attempt to get rid of mould yourself if it’s covering a small area. The NHS recommends self-treatment for areas of less than 1 metre squared that’s not caused by contaminated water (i.e. a leaking sewage pipe). Start by wearing gloves, goggles and a mask covering your mouth and nose. Open all windows in the room but keep the doors shut. This increases ventilation without allowing spores to spread throughout your home. Get a plastic bag and remove any soft items from the room, such as furnishings or toys. Fill a bucket with water and washing up liquid. Use a soft rag dipped in the water to wipe the mould away. Be gentle, as you don’t want to stir up spores into the air. Once the mould has been killed, use a dry rag to remove remaining moisture from the wall. Put both rags in a plastic bag and tie it up. Throw the bag away in an outdoors bin to reduce the chance of spores escaping. Vacuum all surfaces in the room to get rid of any remaining spores. There are also commercial mould cleaners that can kill spores. Be careful if you have pets or children when using cleaning supplies, however, as some can be toxic. If your mould covers more than one metre squared, or is caused by contaminated water, you should call a professional. They will be able to identify the cause of the mould and remove it without spreading spores around the home. Mould can be an unsightly and potentially dangerous problem. It needs to be killed and prevented from returning, otherwise it can quickly spread to different rooms. It’s also vital to fix the source of moisture, such as a leaking pipe or poor insulation, otherwise killing mould is only a temporary solution. You may want to consider buying a dehumidifier to manage the humidity in your home. A dehumidifier can’t kill existing mould, but can reduce humidity to a level that prevents it spreading further. 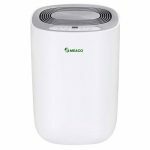 If you’re looking for a dehumidifier but aren’t sure which to choose, check out our list of the best dehumidifiers on this page. Do you have any questions about mould or mildew? 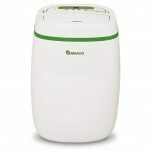 Or do you need advice on getting the right dehumidifier? Let us know in the comments section below.